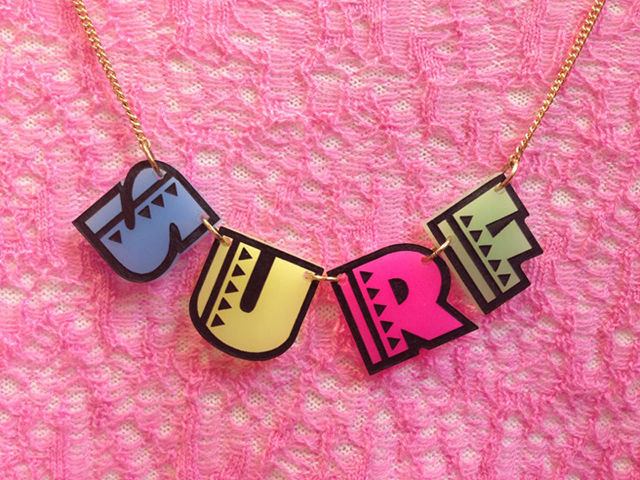 Surf's up with exclusive new jewellery! Cowbunga, dudes! Get ready to hit the waves with our exclusive new jewellery. 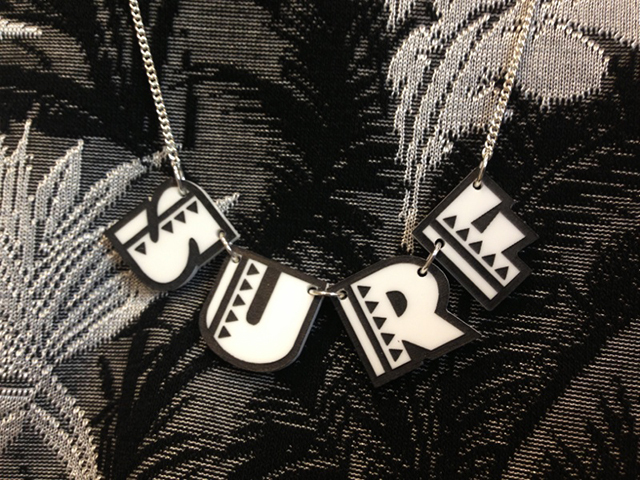 Created especially for Selfridges, the Surf Necklace takes its inspiration from '90s surf culture (think Keanu Reeves in Point Break!) to become your must-have necklace for the new season. 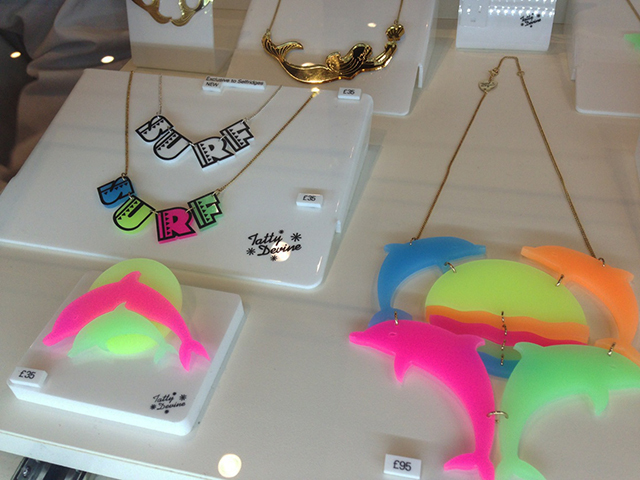 We've even recreated dolphins in neon Perspex, too - get your fins on them here! Bold letters in fluoro yellow, pink, frosted blue and green Perspex are laser cut, etched and hand inked in our London studio to create a super cool surfboard graphic. We've even created a monochrome colour way, too! Keep it classic as you strike a pose on Miami Beach with glossy white Perspex and retro patterns: The Surf Necklace is £35 and is available exclusively from our Selfridges concession at Oxford Street, London. Surf's up!